Hotel Alath Cad is located in a totally unpolluted atmosphere. 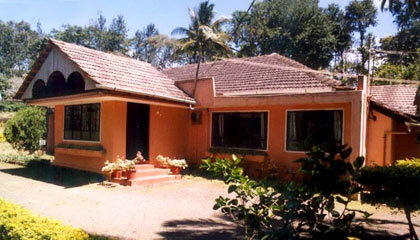 Alath Cad is an Estate Bungalow in Coorg located about 3500 ft above the sea level. 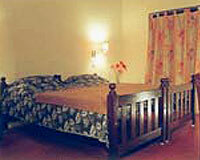 The hotel is situated amidst a sprawling 65 acre coffee and pepper plantation. The atmosphere around the hotel is totally unpolluted and a river flowing around the estate adds to the beauty of the estate. Hotel Alath Cad offers 10 rooms. These include 3 Double Rooms, 3 Deluxe Double Rooms, 3 Suites and 1 Cottage. All the rooms have a dressing room and modern bathrooms. All the suites have two bedrooms, a lobby and a toilet. The double rooms and the deluxe double rooms have a dressing room with an attached toilet. Hotel Alath Cad has a restaurant that serves local cuisines for lunch and breakfast.